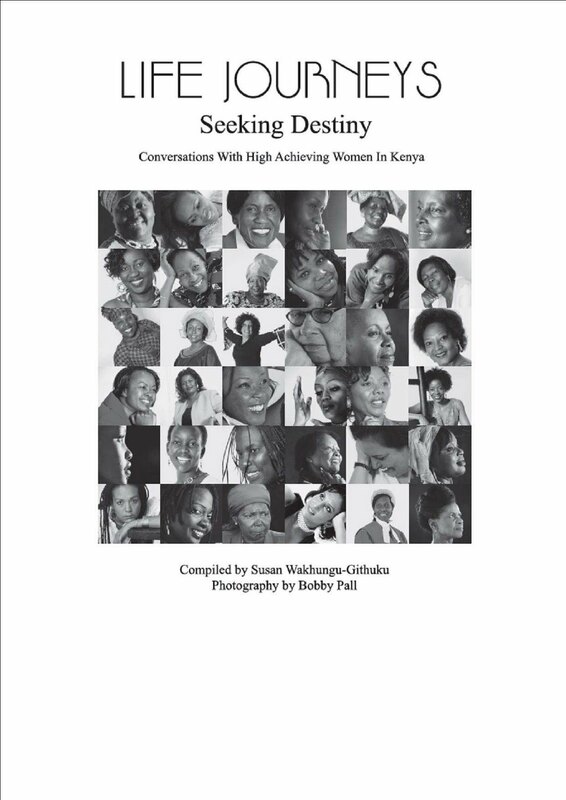 We are proud to start off the week with our inaugural selection of "Kenya's Women and Men of the Week". 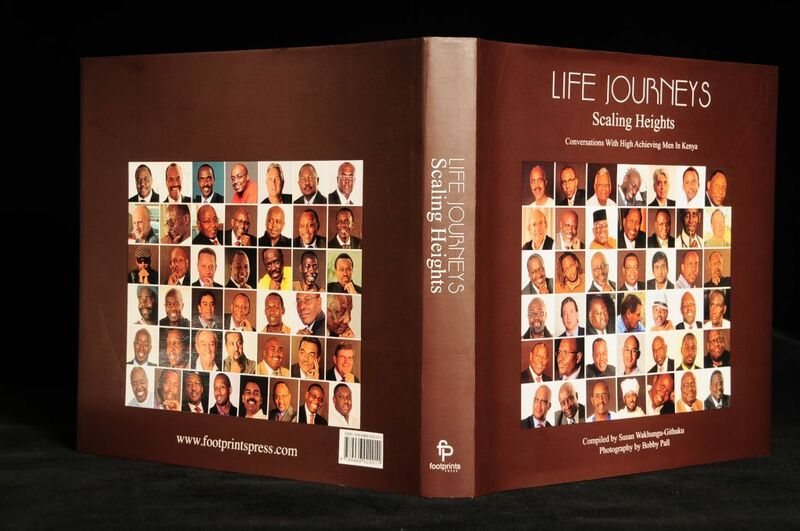 As promised last week, following the launch of "Life Journeys: Scaling Heights," a coffee table book that profiles 85 of Kenya's male achievers, we have included our selection of three men to join our three women, weekly, henceforth. This week's "Kenya's Women and Men of the Week" are: Singer, Wahu Kagwi Mathenge; Professor and Lawyer, Prof. Patricia Kameri-Mbote; Women's Activist, former Member of Parliament, Dr. Phoebe Muga Asiyo; Humanitarian, Abbas Gullet; Technocrat, Dr. Bitange Ndemo; and Reverend and Human Rights Activist, Rev. Dr. Timothy Njoya. This young artist has both Masters and Bachelors degrees from the University of Nairobi. 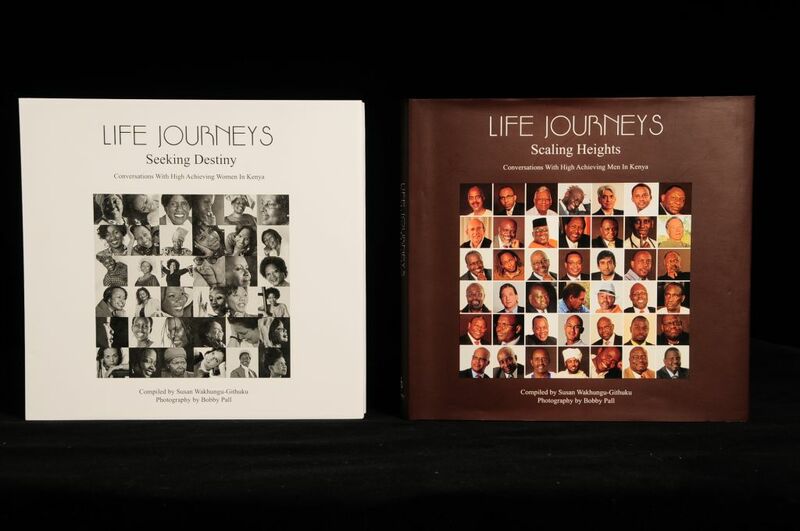 She is the wife of renowned musician Nameless (David Mathenge) who is featured in our recent coffee table publication "Life Journeys: Scaling Heights," which profiles over 85 Kenyan male achievers. Wahu Mathenge was awarded the MTV Africa Music Awards and the Pearl of Africa Music in 2008 as Best Female Artist. She continues to be one of the most admired and respected female artists in Kenya and Africa. "Music has always been a form of release for me - a bit like writing in a diary. As much as I loved music, I never dreamed that I would become a musician. Back then, people thought that if you want to make money, then you must get a degree in a respectable field. Since I was good with numbers, I decided to study mathematics at university and pursue a career in Insurance or Acturial Science. Somewhere along the way, though, I got more drawn into the arts. Women should not let anyone dictate their destinies. Only God holds my destiny and I never forget that. It is essential for me to maintain a good relationship with Him because He is the only one who knows what I am meant to do on this Earth. So it is really in my best interests to make sure that I am always on the right path. After all, you are only as good as you decide to be. Professor and Lawyer, Patricia Kameri-Mbote is a Stanford Law School, Stanford University, graduate, and a Professor of Law at Strathmore University. She has published widely in the areas of International law, environmental law, women's rights and property rights, and participated in international, regional, national and local conferences. The person who inspired me most was my maternal aunt, who passed away in 1993. Despite having a rich husband, she retained her job as a primary school teacher. We were really close and she always encouraged me to become independent and to be a self-sufficient young woman. She repeatedly said that it would be embarrassing to make my husband buy me sanitary towels. I admired her a lot. If I were the president of Kenya, I would do my best to curb the nation's insecurity and provide stability, especially in the areas of human and food security. My words of wisdom are: "Take your piece of the world and run with it. The net effect of people striving for different things will be to lift our nation in different realms". This accomplished lady has been in the forefront of the fight for the elimination of discrimination and protection of minorities. Dr. Phoebe Asiyo was a Member of Parliament from 1979-1997, and she was the first African Chairperson for Maendeleo ya Wanawake Organization. She has also been awarded the Order of the Grand Warrior, Kenyan Presidential Award.
" I was born in 1932, the daughter of a pastor and was raised in a missionary centre. My earliest childhood memory is of seeing everyone around me dressed in white. This included the nurses, male doctors and church workers in the centre. It was a sight for sore eyes that always held connotations of tranquility and inner peace. I view the late Tom Mboya as my hero. I saw him as a very wise and intelligent politician. Another source of inspiration to me is the author, Helen G. White, who wrote about human life, Christianity & religion, and of course Nelson Mandela. The biggest lesson I have learned is that when you are disappointed some of the values you hold dear can be trampled on by those you least expect. The one regret that I bear in life is that I did not have the chance to document the times during and after Kenya's independence as a nation. I reckon it would be a different story when told from a woman's perspective. I hope that by God's grace I will still have time to pen this story. Humanitarian Abbas Gullet began his journey with the Kenya Red Cross Society (KRCS) in 1985, as a National First Aid Officer. Over the years, he has made his way up to become the Secretary General of the KRCS. He was voted as the UN person of the year in 2007, and in 2009, was awarded the Utetezi (Civil Society) Award by the Kenya National Commission on Human Rights. I am an ordinary Kenyan, the second born in a family of three. I was born in Garissa, but grew up in Mombasa with my adopted parents because my birth parents died when I was very young. Though I grew up in a different culture from where born, I do not believe that I have missed much. As citizens of the world, we need to appreciate that we are not an island and no single nation can survive on its own. We also need to spend time finding solutions rather than the problem identification that most of us excel at. We need positive and out-of-the-box thinkers who can steer us differently. Negative thinkers smother. I have always been determined to do the right thing at the right time and I have a great desire to succeed at every endeavor. I desire to build an efficient and effective world class organisation in Kenya that can alleviate human suffering anywhere. Technocrat Dr. Bitange Ndemo is the brains behind the upcoming technology city, Konza, Africa's Silicon Savannah. The Permanent Secretary of ICT, was a Senior Lecturer at the University of Nairobi before joining government. He has been awarded the Chief of Burning Spear by the Government of Kenya. After completing my primary school education, I was accepted at a high school in Nyanza Province, but failed to register due to lack of school fees. I was forced to repeat a couple of classes so that my brother could complete his high school education. When my turn to join secondary school came, I kept transferring from one school to another, until I eventually completed my high school education at Ruiru High School. Overcoming any challenge has always given me great gratification. Landing the fiber optic cable in Mombasa was a feat that defied all odds, and baffling when the Media tried to down play this achievement. I am also proud of my small accomplishments, such as assisting the university to modify their filing system. I believe that the ICT projects in progress will help revive the spirit of Kenyans. The idea behind the Konza Technology Bag signifies that we have broken away from the minimalist thinking derived from our colonial past. Kenya is fast embracing numerous technological advancements and breakthroughs, and we hope to be the hub of expertise in Africa. Rev. 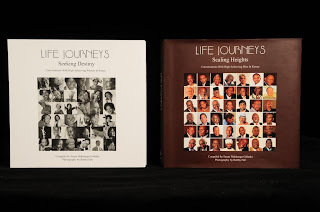 Dr. Timothy Njoya holds two Doctorates: One from Toronto University, and the other from Princeton. He is the idea behind both the Multi-Party system and the newly realized and promulgated constitution of Kenya. Rev. Dr. Njoya has written extensively on the topic of Human Rights and some of his major publications include: “Divine Tag on Democracy” (2003); “Out of Silence” (1987); and “Human Dignity and National Identity (1987). He is also the winner of 1995 E. H. Johnson Trust Fund Award as world’s most outstanding theologian and Church Leader. I became my own mother and father and did a better job of raising myself than any parent in Mukurweini could have done. Parents suffered tremendously during the Emergency period, and were not always around to raise their children as they were forced into communal labor. Because we had no parents to feed us, my sisters and I grew vegetables and milked our grandfather’s cows. We grew up that way. I also believe that I have done more in liberalizing the minds of the people in Kenya than Kenyatta, Moi, and Kibaki. These Presidents simply continued with the legacy of mutation and delivered no innovations. Many Kenyan politicians are cut out of the same cloth as former Somalia President Siad Barre and Uganda’s Idi Amin. After all, how did we end up with the 2007-2008 post election violence? My intellectual contribution to Kenya is everlasting. When people voted for the new constitution on the 4th of August 2010, it was like my serendipity. The new constitution is a donation by the people of Kenya to themselves and to me.